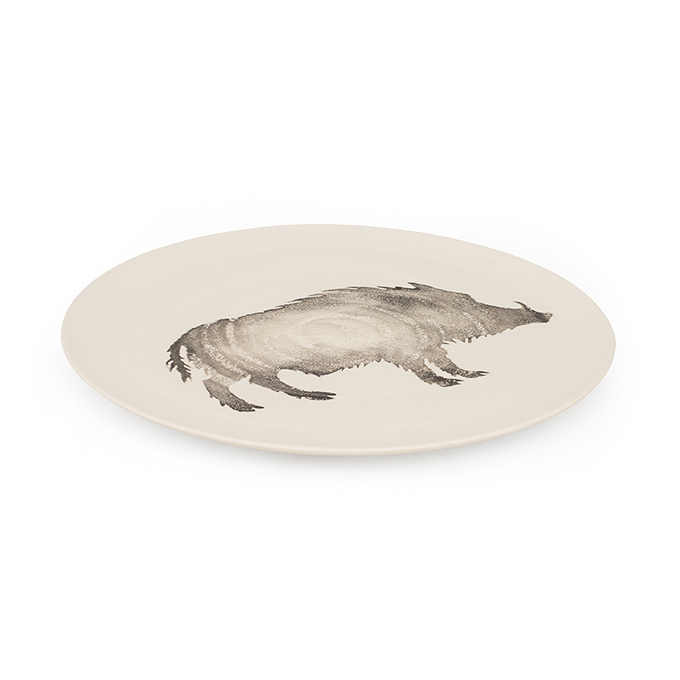 This ceramic serving platter is embellished with a grey wild boar. 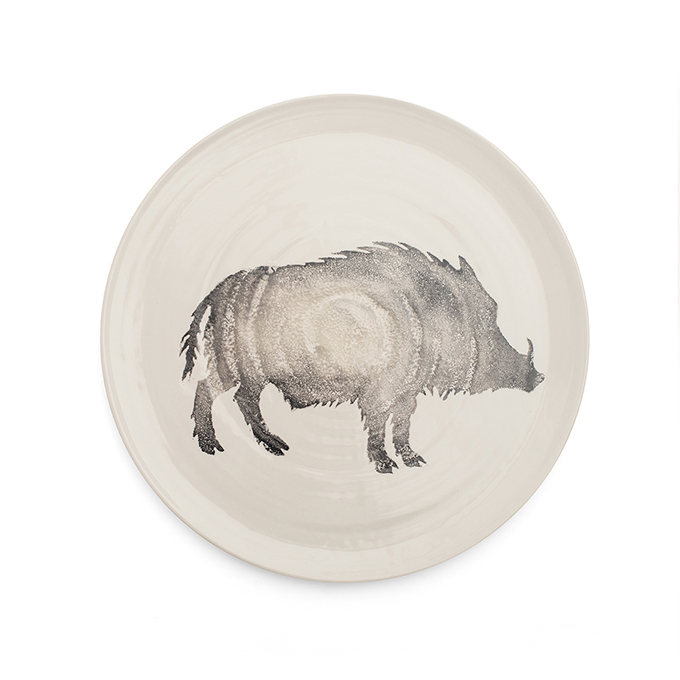 The decoration has been applied using simple hand-sponging techniques. Each piece is handmade in Italy.